This information has been compiled by the Spears School Marketing and Communications unit and contains information about the most common marketing and communications outlets on the OSU Campus and throughout the state of Oklahoma. If you know of additional marketing/communications outlets that should be included in this document, please email ssb.news@okstate.edu. The Spears School Marketing & Communications unit is a support service to the OSU Spears School of Business, as well as its departments, centers, units and offices. This unit advances the goals of the Spears School through marketing and communications. Click here to learn about services available. News@OkState – News coverage by OSU Communications writing staff. Coverage includes press releases, student spotlights, faculty spotlights, etc. Send information to ssb.news@okstate.edu to pitch ideas. OSU Headlines – eNewsletter featuring information on the latest happenings and upcoming events in the OSU Systi, the electronic newsletter OSU Headlines is disseminated two to three times each week to students, faculty, staff, administration, other members of the OSU family and media – about 5,000 people. Send information to ssb.news@okstate.edu to pitch ideas. Inside OSU–Video segments with President Burns Hargis to highlight OSU achievements and share his vision and views of OSU. Send information to ssb.news@okstate.edu to pitch ideas. STATE magazine – STATE magazine is the official magazine of Oklahoma State University and is delivered three times a year (spring, fall and winter) as a benefit to current members of the Alumni Association. 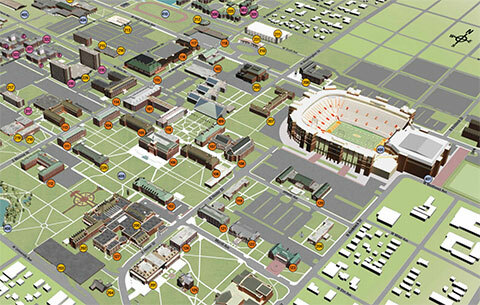 STATE symbolizes the changing atmosphere at OSU – dynamic, energetic and focused. Send information to ssb.news@okstate.edu to pitch ideas. OrangeBytes – Monthly eNewsletter for members of the OSU Alumni Association. Send information to ssb.news@okstate.edu to pitch ideas. Editorial content – Send information to ssb.news@okstate.edu to pitch story ideas for news or feature stories. Inserts – Special advertising inserts (1-12 pages) can be added to the O’Colly press run. Visit www.ocolly.com for more information. Display Advertising – Special university rates are available. Art is due two business days prior to publication. Classified Advertising – Logos, graphics, and borders are available. Deadline for all classified advertising is noon the day prior to publication. Ads automatically appear online. Society Squares– Graphics and logos are available. Deadline for all classified advertising is noon the day prior to publication. Ads automatically appear online. Student Notices – Available to student groups and organizations for free/open events. No graphics or borders are available. Deadline for all classified advertising is noon the day prior to publication. Ads automatically appear online. Oklahoma Public Radio KOSU “OPR” is the Oklahoma source for National Public Radio (NPR) news and information. With two of the largest public radio stations in the state, OPR broadcasts at 100,000 watts on 91.7 in central Oklahoma and on 107.5 in northeast Oklahoma, 24 hours a day. We also broadcast on 101.9 in Okmulgee. OPR also provides in-depth stories and features about the arts and Oklahoma culture, including the people and places that make our land grand. Editorial content – Pitch ideas to: Kelly Burley, Director – kelly@kosu.org. Registration of Fliers and Posters: Fliers and posters that are posted on OSU grounds must be registered at the Campus Life desk in the basement of the Student Union. Graphic Design Services: The Student Union Marketing Department and Campus Life offer assistance to all registered student organizations for their marketing and graphic design needs. The OSU Facilities Management department makes signage for the OSU Systi, including a-frames and other large-formats. For more information, call 744-5460 or visit the Signs Department website. OSU Parking and Transit Services operates The BUS, which provides free transportation across campus and around the Stillwater community. The BUS ‘s five community bus routes serve more than 850,00 annual passengers. For more information about ad prices and specs, email ssb.news@okstate.edu. Ads on The BUS – 11” tall x 17” – 28” wide; $15 per ad per month (maximum of 13 ads). Minimum display period is 3 months. The Stallsheet Journal is published by the Residence Hall Association. It is designed to keep residence hall residents informed of upcoming events. To submit, email stallsheetjournal@gmail.com.